There are a multitude reasons for parts to be rejected. 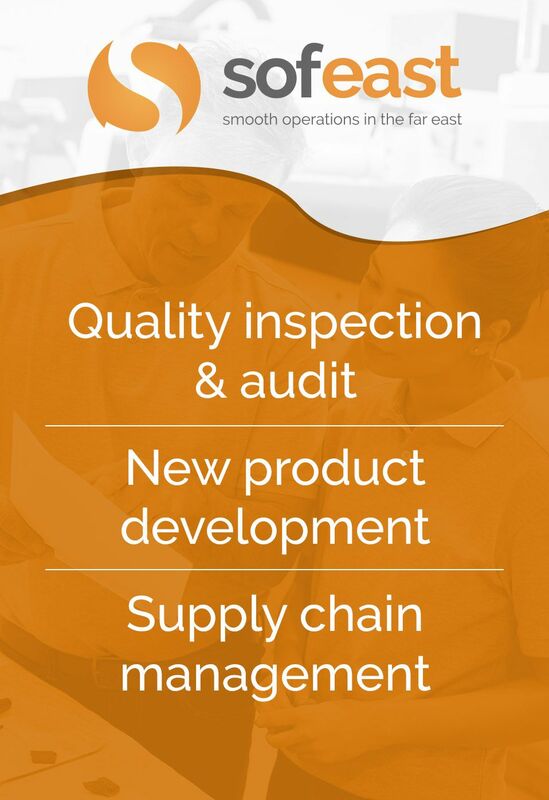 Some of the more common defects are listed below, along with the key preventative measures. 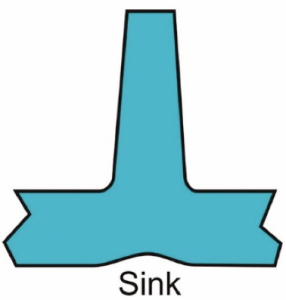 A sink mark is a depression on the surface of the molded part and is generally found where there are bosses or ribs on the underside of the molding. These intersections result in a thicker material section and the cooling is uneven in these areas. As the material cools, the outer surface cools faster than the inner and with the outer surface solidified, the inner molten material begins to cool, solidify and shrink thus pulling on the already solidified surface. This irregular cooling and shrinking of the material around thicker areas is the cause of most sink marks. 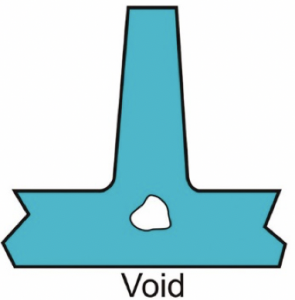 Voids or air pockets tend to occur in thicker sections of a molded part, this is caused when the surface cools and solidifies faster than the inner material. As the inner material is cooling it also shrinks, but if it is unable to fully shrink, the material molecules will be pulled apart thus creating voids. Weld lines are created when two melt fronts come together but do not bond with each other because they have partially solidified. When the part is fully solidified, the weld lines often look like two plastic planes have come together. Short shots occur because the mold is not completely full before the plastic solidifies, resulting in a partially molded part. 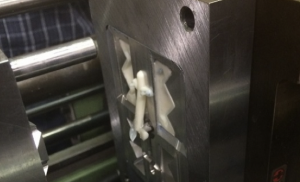 Another reason for short shots is trapped air or gas in the mold cavity, the molten plastic cannot occupy the same space as the gas, therefore resulting in a short shot mold. Burn marks show up on the finished part as charred or dark discoloration which is caused by trapped gas overheating in the mold. It can also be an effect of plastic degradation due to excessive heat or by the injection speed being too fast. Flash is a defect where molten plastic has escaped the cavity, generally at tool parting lines or vent areas or even down ejector pins. Flow lines or streaks in the surface of the finished part can be a cause for reject if the part is required for aesthetics. 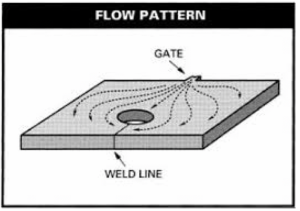 Flow lines are caused by the molten plastic flowing at different speeds throughout the cavity and the change in direction of the melt front due to the design of the mold. 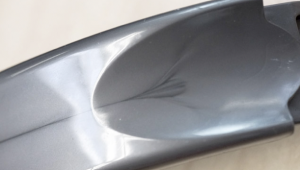 These lines occur as the plastic starts to solidify at different speeds, in some cases the molecules are dragged along the surface of the mold causing streaks. Ensure the design of the tool has rounded edges wherever possible. Warping occurs when the part cools unevenly and creates internal tension within the part. When the part is ejected from the tool, the part will warp as the internal tension is released. Select plastic materials that are less likely to shrink and deform. Semi-crystalline materials such as Polyphthalamide (PPA), Polyetherketone (PEK), and High Temperature Nylon (HTN) are generally more prone to warping. 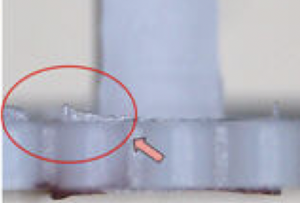 When the molded part sticks to the mold, it fails to separate from the cavity or is held by a feature of the tool design which can occur for many reasons.